One powerful aspect of Japanese culture is that they never forget. 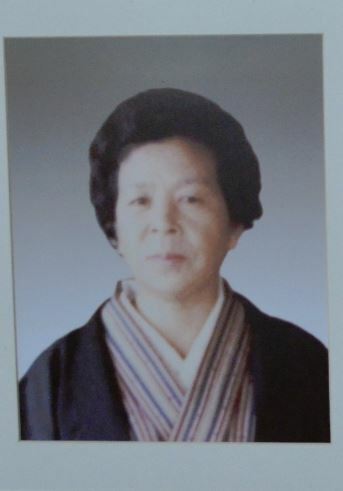 I, who never knew my grandparents, received enormous respect, honor, gratitude, and generosity from friends and family in Japan because of things my grandfather did 60 years ago. One powerful example of this is a story of the children of Keishoji. The younger sister who raised the 10 children. She died in 2008. 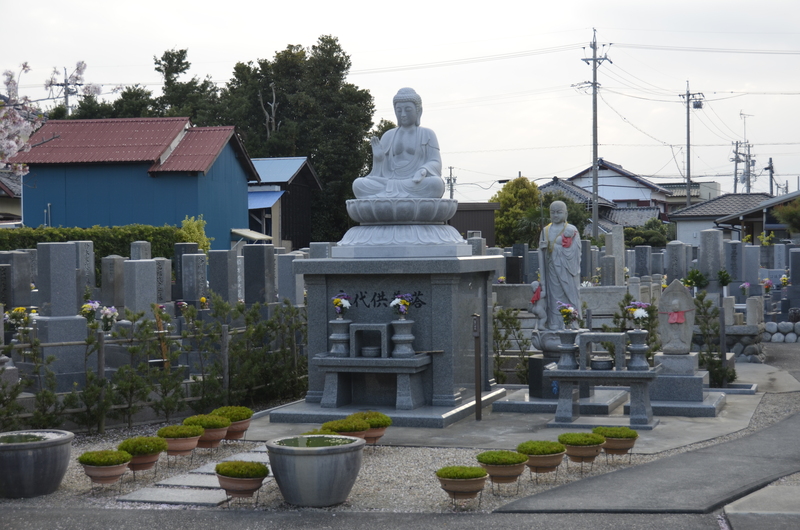 Keishoji is the name of a Buddhist temple in the small coastal village of Iwata. The Buddhist priest there was one of my grandfather’s nephews. The priest and his wife had eight children, but she died tragically in childbirth in 1945 while bearing the eighth child. She was only 37 years old. Her youngest sister married the priest and raised the eight children as her own. She also brought one child she had adopted, and together with the priest bore a final daughter. So in 1948, the younger sister was only 29 years old and raising ten children. After the war, Japan was destitute. Food and clothing were scarce. My grandfather sent care packages to various relatives around the country. (I heard from three separate families who remembered the packages he sent.) He always insisted on sending extra-large packages to Keishoji. “They have ten children to feed, and the temple has no land of its own,” he would say. By this he meant the temple could not grow its own food. It was dependent upon offerings from the townsfolk. But if the townsfolk were starving, what would they have to give the temple? So grandfather would ship over a sack of flour, a sack of rice, or hand-me-down clothes (he had raised eight children of his own, after all, though the oldest had been left with relatives to grow up in Japan). Those ten children at the temple grew up, raised families, and never forgot. 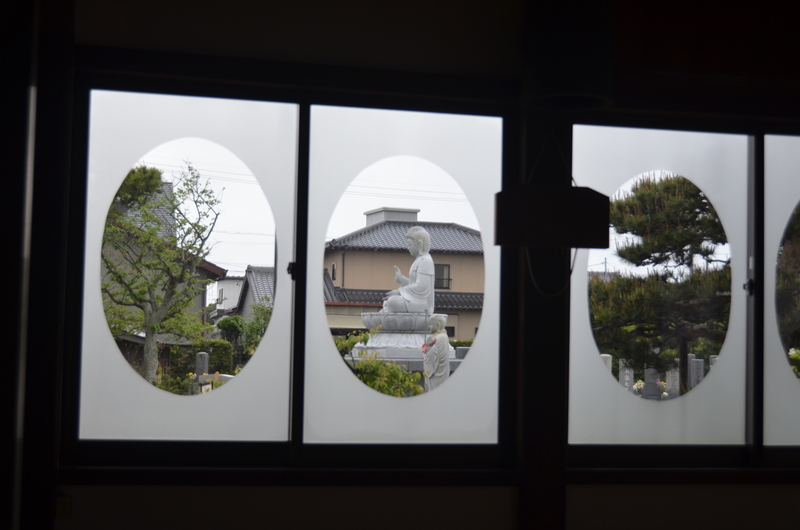 My parents would visit Keishoji every five or ten years when they’d travel to Japan. Every visit was the same. The children of Keishoji, now in their 70s and 80s, would cry. They would cry because they had not starved, and because they had been the only children in school who had real clothes. So desperate were post-war conditions in Japan that many schoolchildren wore clothes made of old rice sacks and coffee bags. The children of Keishoji were the only ones wearing proper clothing. 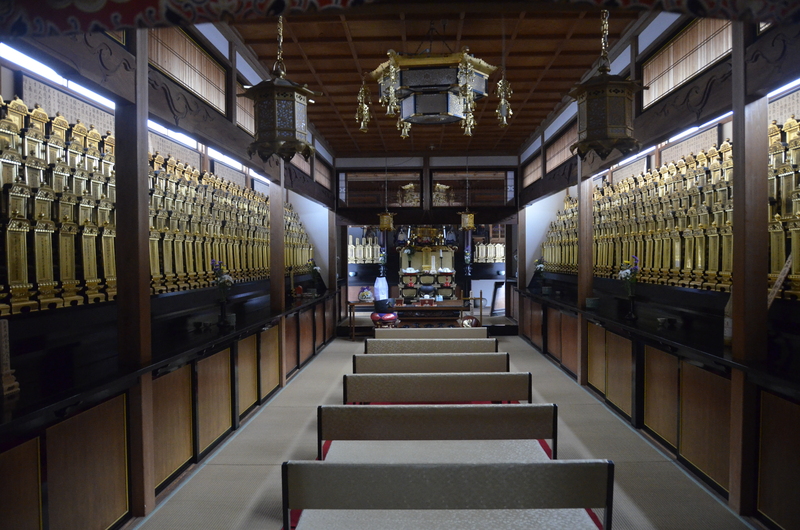 Everything metal in Japan had been collected and melted down for the war effort. 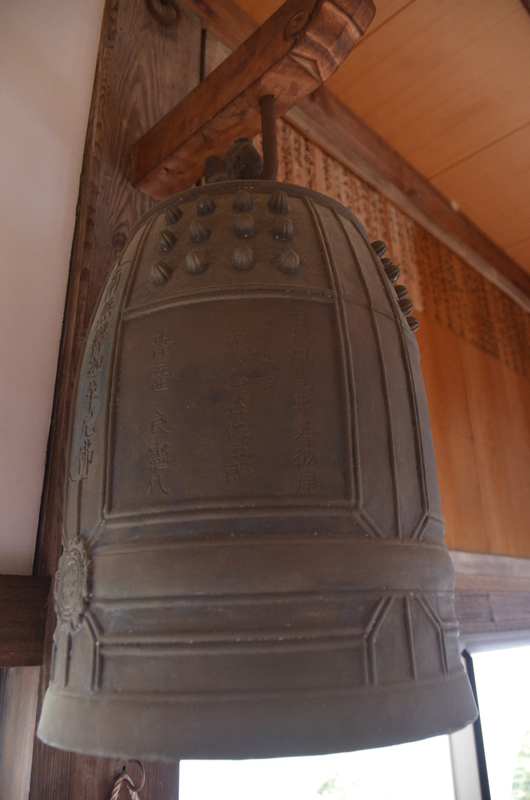 Even the bell from Keishoji temple had been taken. My grandfather commissioned a new bell to be made, and it was delivered and hangs there today. One can find the kanji inscribed on it with my grandfather’s name. I met four of the original ten children on this 2015 trip. I met the husband of a fifth who is still alive, but unfortunately too ill to visit. I also met children and grandchildren of these family members. To them, my grandfather appeared a wealthy and successful man in the U.S. who was generous to them in their time of great need. In fact, within the context of his adopted land, grandfather was a poor, uneducated immigrant farmer who only shipped to Japan what he could. Today, Keishoji is thriving. 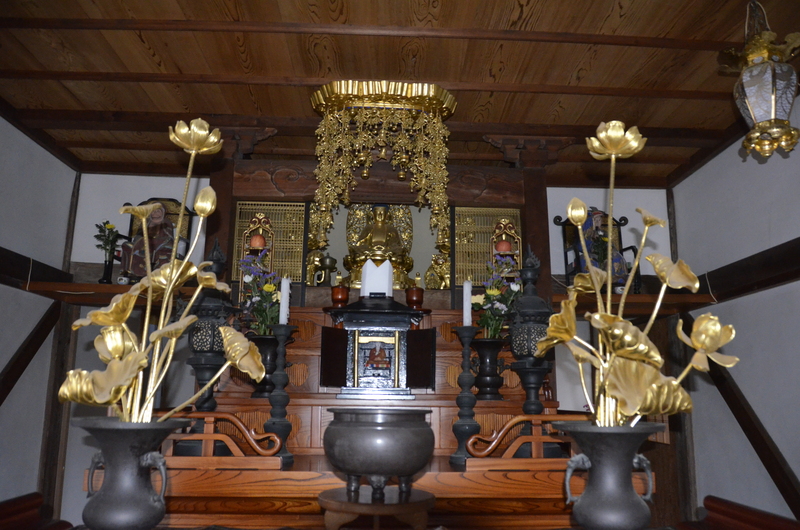 Although the main temple looked familiar to me, the living space was completely changed from my visit 19 years ago. New floors, cabinets, and appliances were a testament to a stable and growing temple. I am humbled when I ask myself what I have done in my life that will be remembered in five or ten years, good or ill? What, if anything, will be remembered (let alone held in honor) in 50 years or after I have passed away?